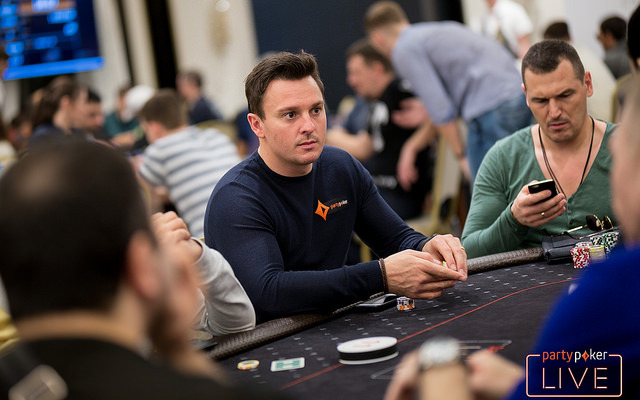 With over 1,000 players competing in person on Day 1 of the first partypoker LIVE Million in Russia – plus 100+ players for the two online Day 1s, the event’s $1m guarantee has been easily smashed. Day 1c saw 389 players take to the felt at the spanking new and ultra-glamorous Sochi Casino and Resort with another 497 for 1d yesterday and a 1e turbo is now underway with at least 128 players. Day 2 kicks off at 3pm Saturday. The partypoker LIVE Million event is the biggest live poker tournament ever held in Russia – with a guaranteed $200k for first place. Among those who’ve turned up to the stunning mountain resort are partypoker Global Ambassador Sam Trickett, sponsored pro Natalia Breviglieri and Jan-Peter Jatchmann, partypoker’s Ambassador for Germany along with East Europe stars Dmitry Vitkind, Andrey Gulyy and Mikhail Korotkih, Anatoly Filatov, Vladimir Troyanovskiy, Vitaly Lunkin and Alex Kravchenko plus Polish wunderkind Dzmitry Urbanovich. Day 2 of partypoker LIVE Sochi starts at 3pm Saturday, Day 3 is on Sunday with the final on Monday. The schedule also includes the Russian Poker Championship and High Roller events – both with huge guarantees, as well as Win the Button turbos, Open Face Pineapple, HORSE and Speed Bounty events. Sochi hosted the Winter Olympics and has long been a popular holiday destination in Russia but the new Sochi Casino and Resort is a unique departure in Russian tourism and aims to match the very best casinos in Las Vegas. partypoker is the first global poker operator to host a major live poker event there.